At Soul Flower, we work hard to keep our products and manufacturing eco-friendly always. If you bought a Soul Flower item to give as a gift, we would love nothing more than to keep it eco friendly with eco friendly gift wrap. Did you know that each year, the US alone produces over 333 million square feet of wrapping paper? Whoa! 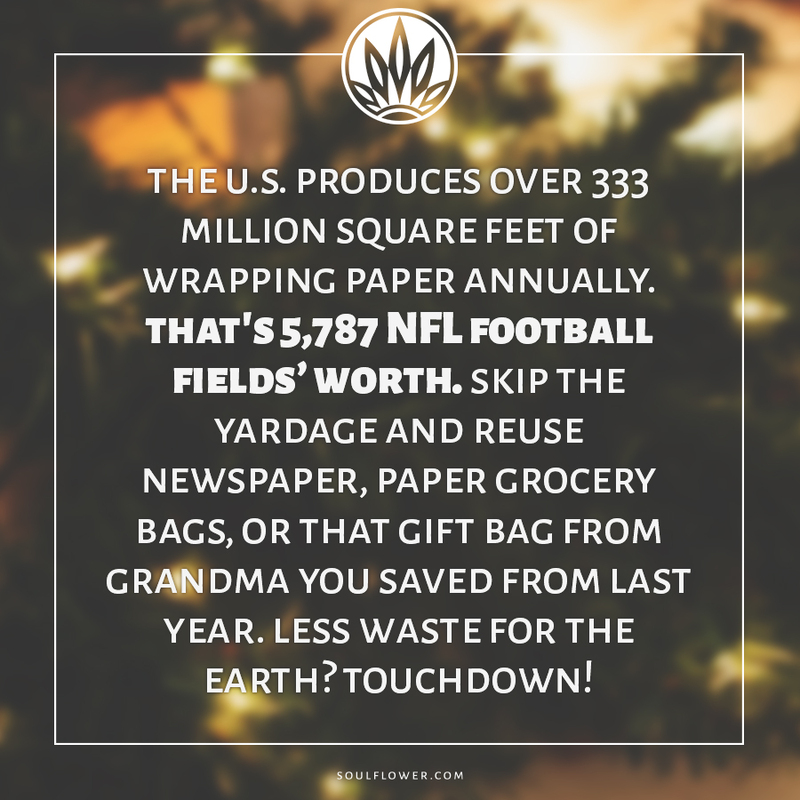 And millions of square feet of that wrapping paper ends up in landfills. Ugh! So this year, try to minimize your waste and keep Mother Earth in mind by subbing in recycled paper grocery bags, last year’s gift wrap, or absolutely nothing instead of purchasing new wrapping paper. 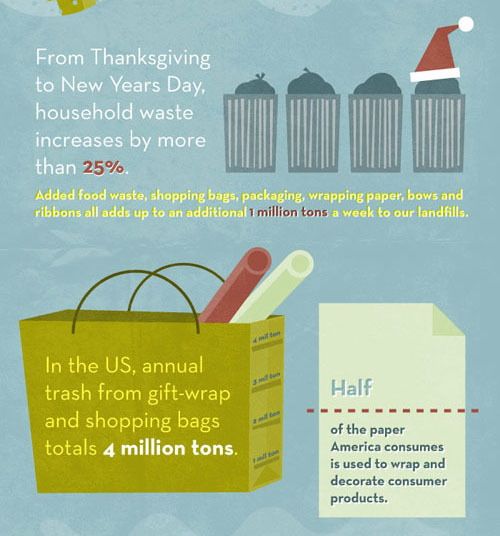 Do your own DIY gift wrapping and make a difference this holiday season with eco friendly gift wrap! Simply get creative! Cut apart a couple paper grocery bags so that they lay flat. Or just lay flat your newspapers. 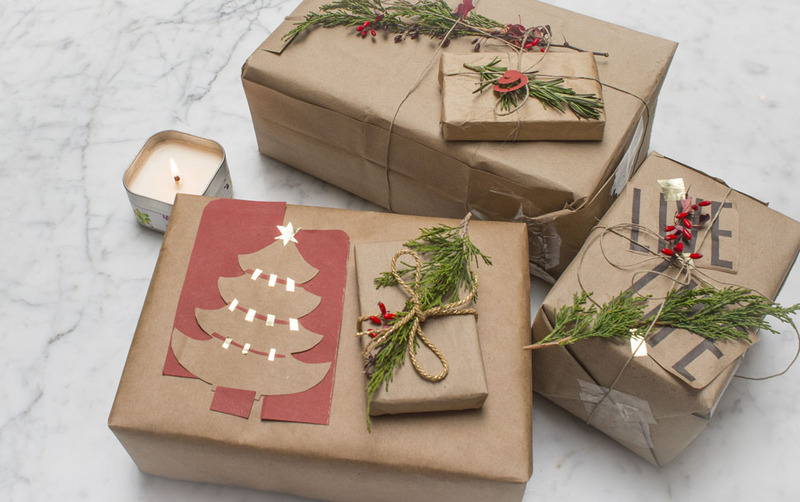 Wrap your gifts like you normally would using wrapping paper. 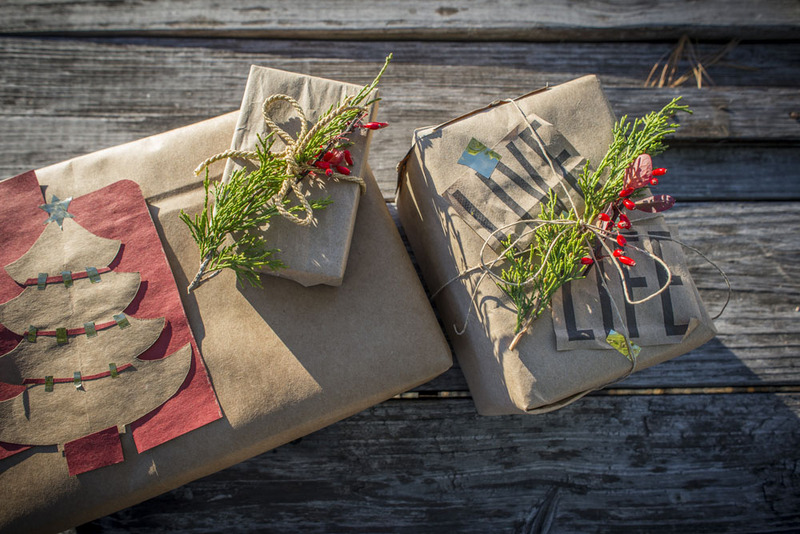 Finish off your gifts using details from nature, hemp twine, ribbon, or doodles. If you must use paper, print one of our cute gift tags on a recycled piece or reuse the back! It is easy to just tie a string, scarf, bow around an item and give it to someone just as it is. 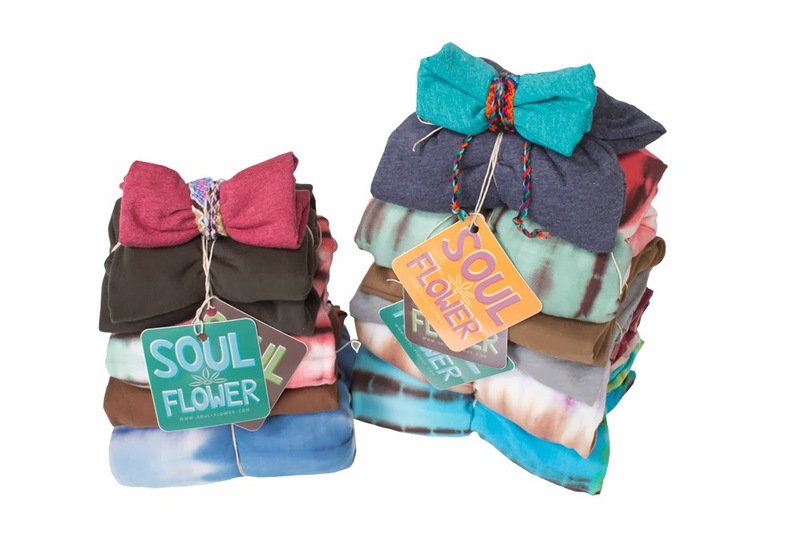 Take a look at these Soul Flower threads all wrapped and ready to give without any paper at all. Wouldn’t you love one of these bundles? Consider attaching a cool hippie sticker or a Soul Flower Gift Card for some extra good vibes! The U.S. Produces over 333 million square feet of wrapping paper annually. That’s 5,787 football fields worth of paper. Ugh! 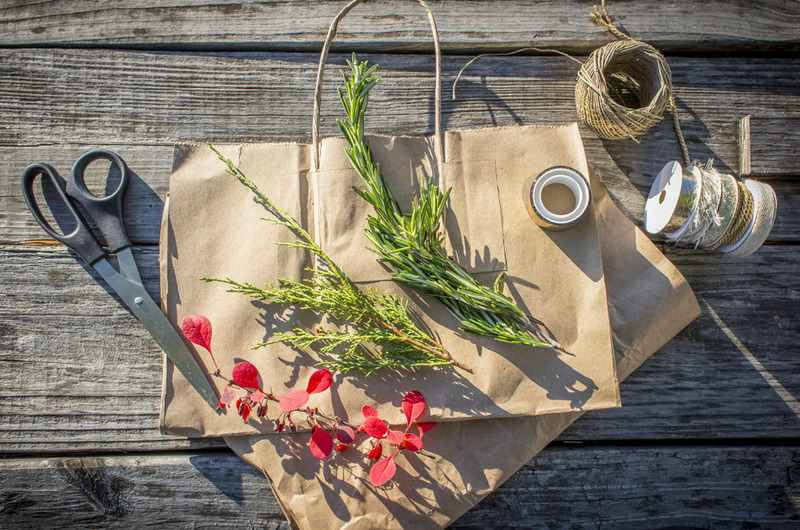 So skip the yardage and reuse newspaper, paper grocery bags, or that gift bag from Grandma you saved from last year. Less Waste for the Earth? TOUCHDOWN!